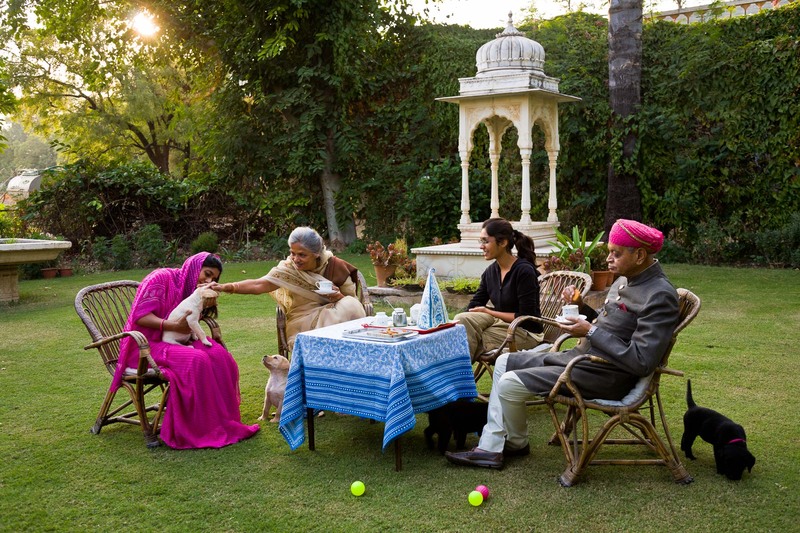 Enjoying a genteel cup of tea Rawat Nahar Singhji, 74, wife Rani Saheb and daughters sit in the well kept gardens of their fortress - palace Deogarh Mahal, now converted into a hotel. Rawat, also known as Rao Saheb, is a Umrao of Mewar, an aristocratic nobleman from Rajasthan. A form of a lower ranking Maharaja, India.